Johannes Vermeer, Dutch (1632–1675). 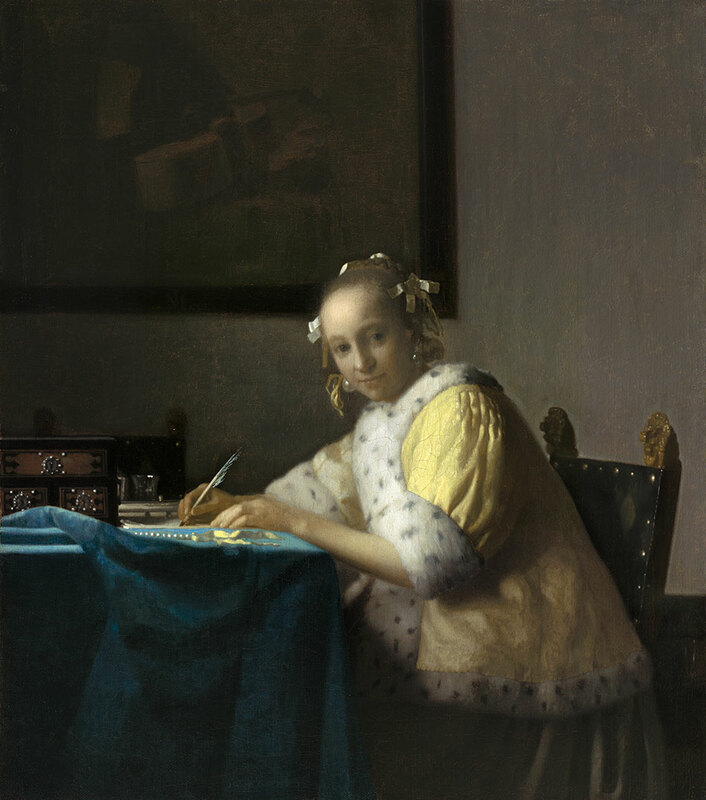 A Lady Writing, c. 1665. Oil on canvas, 17 11/16 x 15 11/16 inches. National Gallery of Art, Washington, Gift of Harry Waldron Havemeyer and Horace Havemeyer, Jr., in memory of their father, Horace Havemeyer, 1962.10.1.
this exhibition will present the ways in which Dutch pictures reflect 17th-century various socio-economic groups. Include Rembrandt, Jan Steen, Frans Hals, Pieter de Hooch, Gerard ter Borch and Gerrit Dou, among others. Loans from Amsterdam, Paris, Berlin, Munich, Budapest, and London will complement the works coming from public and private collections in North America. Dutch culture flourished in the 17th century, which was a time of great economic growth, urban expansion, and migration to and within the Dutch Republic. But the era was also defined by great disparity in wealth. Reflecting Class in the Age of Rembrandt and Vermeer also explores the locations and circumstances that brought these groups together. Job Adriaensz.Berckheyde, Dutch (1630–1693). 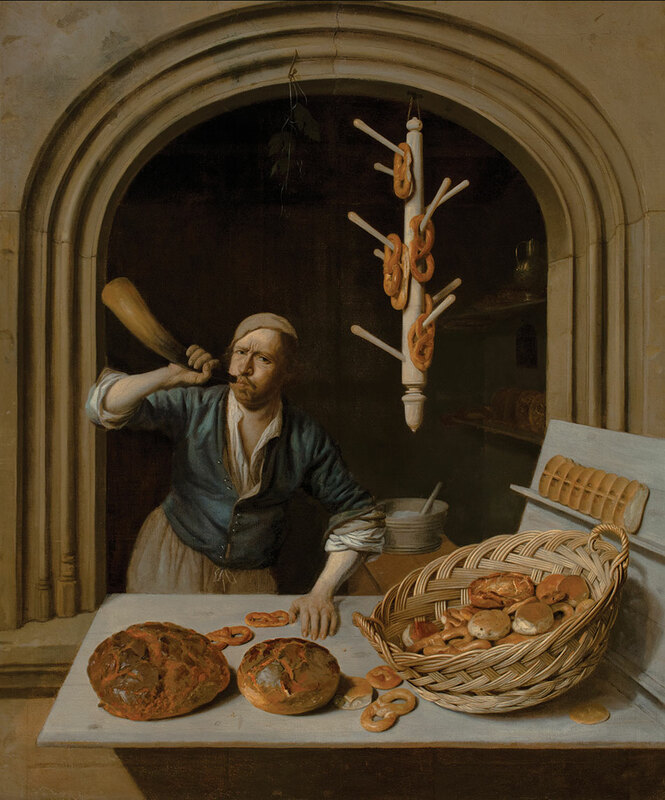 The Baker, about 1681. Oil on canvas, 24 15/16 x 20 7/8 inches. Worcester Art Museum (MA), Gift of Mr. and Mrs. Milton P. Higgins, 1975.105. Rembrandt Harmensz. van Rijn, Dutch (1606–1669). Andries de Graeff, 1639. Oil on canvas, 78 3/8 x 48 5/8 inches. Kassel, MHK, GemäldegalerieAlte Meister, Germany. The exhibition is divided into sections depicting the upper, middle, and lower classes. The first gallery highlights the political and social elite–princes, nobles, regents and merchants. The second gallery presents the broadest segment of Dutch society, the middle classes. These paintings show artisans at work, trained professionals and shopkeepers. Members of the lowest classes, who had only their labor to sell, are the subject of the third gallery. The final room explores the opportunities for these classes to meet. 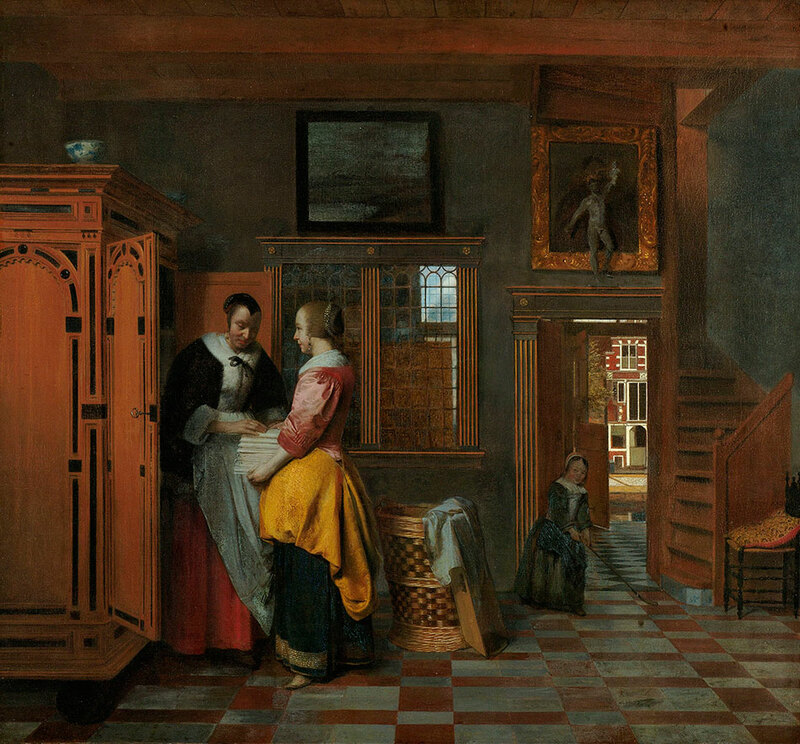 Pieter de Hooch, Dutch (1629–after 1684).Interior with Women beside a Linen Cupboard, 1663.Oil on canvas, 27 9/16 x 29 3/4 inches. Rijksmuseum, Amsterdam, on loan from the City of Amsterdam, SK-C-1191. Jacob Ochtervelt, Dutch (1634–1682). 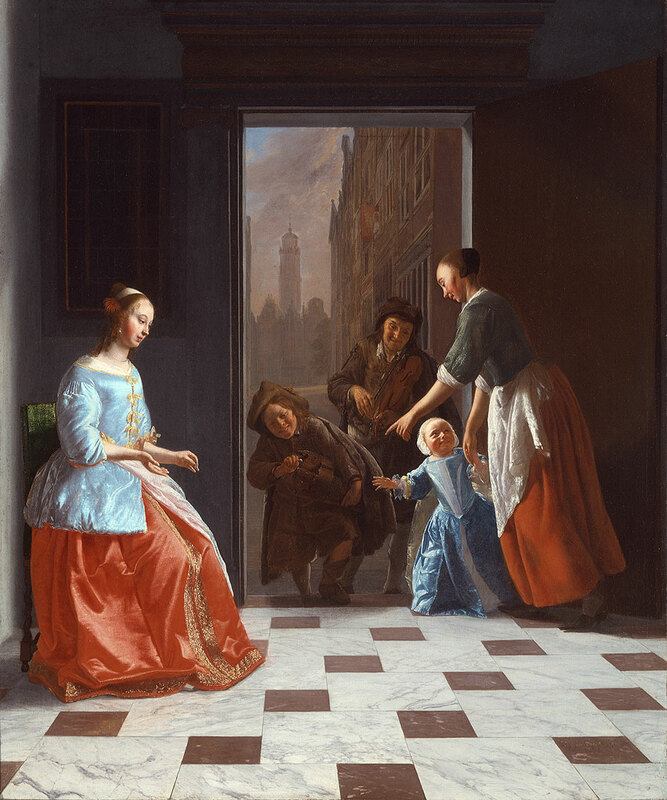 Street Musicians at the Door, 1665. Oil on canvas, 27 x 22 1/2 inches. Saint Louis Art Museum, Gift of Mrs. Eugene A. Perry in memory of her mother, Mrs. Claude Kilpatrick, 162:1928. Adriaen van Ostade, Dutch (1610–1684). The Fishwife, 1672. Oil on canvas, 14 3/8 x 15 9/16 inches. 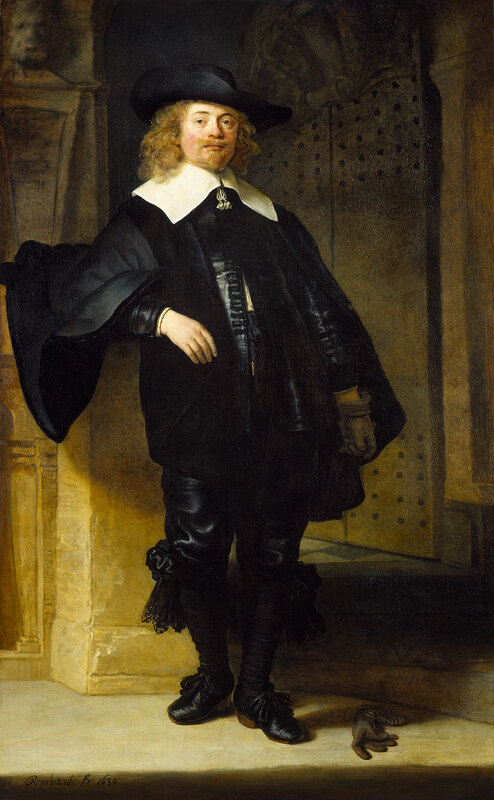 Rijksmuseum, Amsterdam, Gift of H. W. A. Deterding, London, SK-A-3246. Gerard terBorch, Dutch (1617–1681). 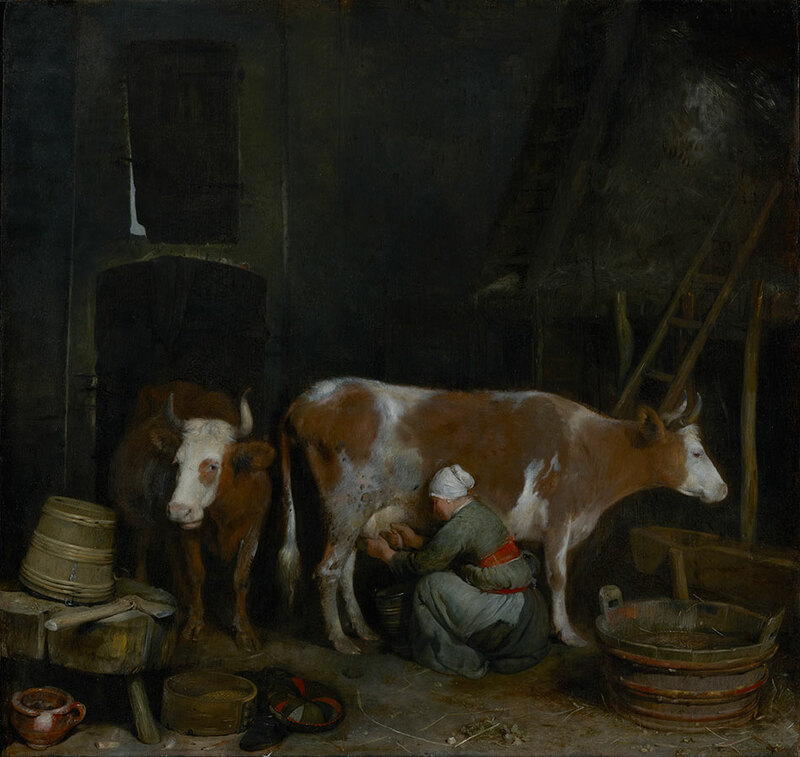 A Maid Milking a Cow in a Barn, about 1652–1654.Oil on panel, 18 5/8 x 19 5/8 inches. The J. Paul Getty Museum, Los Angeles. Although the paintings are astonishingly lifelike, they mask as much as they reveal by communicating the attitudes and aspirations of specific members of society. Visitors are encouraged to study the paintings, looking for clues in how the people carry themselves, what they are wearing, and whether they are working or idle. Visitors can also stop by and see Dutch Masters in the Nelson-Atkins permanent collection. 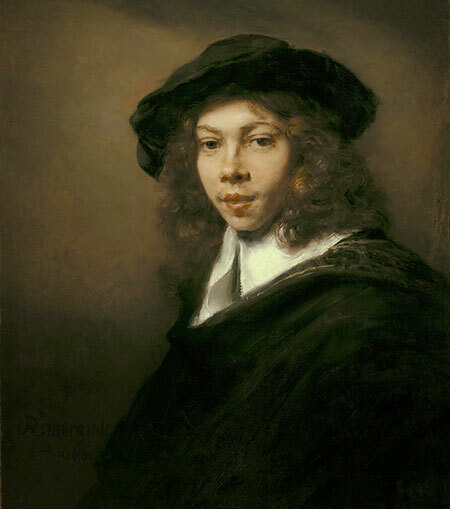 Rembrandt’s Young Man in a Black Beret is on view, as well as paintings by Frans Hals and Gerrit Dou, two artists who are represented in the exhibition. The exhibition was curated by Ronni Baer, the William and Ann Elfers Senior Curator of Paintings, Art of Europe, at the Museum of Fine Arts, Boston (MFA). 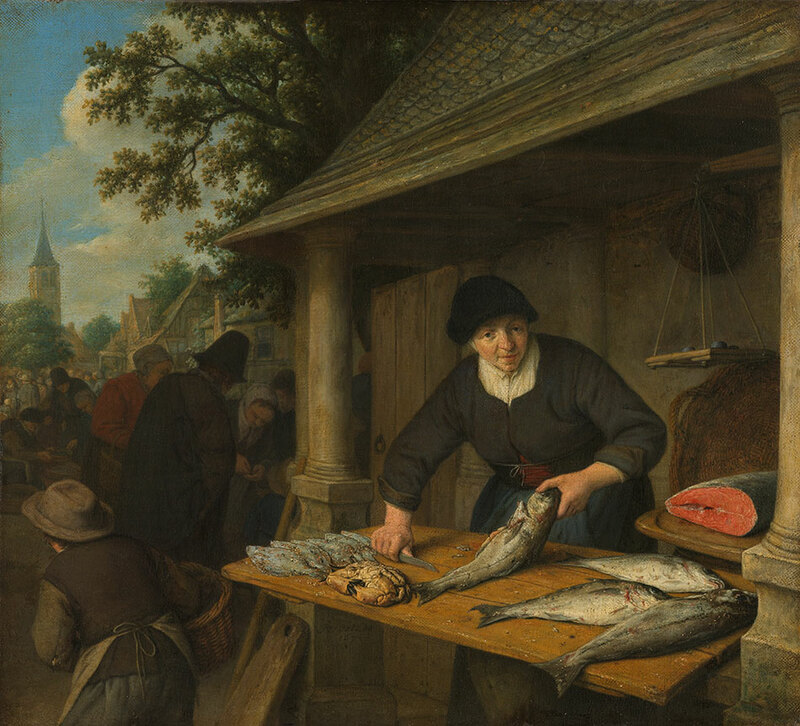 The genesis for the show came from Ian Kennedy, a former curator at the Nelson-Atkins, who suggested a look at Dutch paintings organized by class – upper, middle and lower classes of society. He worked closely with Baer on the selection of paintings. “Reflecting Class would not have happened if not for the vision and intellectual talent of Ian Kennedy,” “It is deeply rewarding to see this come to fruition, with his involvement, and now through our relationship with Ronni Baer and the MFA., to know that these Dutch masterpieces are coming to Kansas City. This exhibition was organized by the Museum of Fine Arts, Boston. 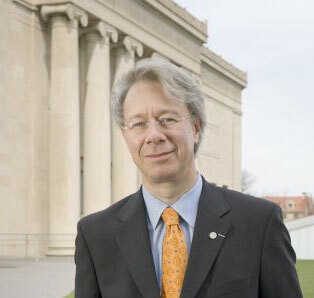 In Kansas City, the exhibition is presented at The Nelson-Atkins Museum of Art by the Muriel McBrien Kauffman Foundation, with major support provided by the Committee of 100, G. Kenneth and Ann Baum, Shirley and Barnett C. Helzberg, Jr., the Karbank Family, Paul DeBruce, the Sosland Family, the Barton P. and Mary D. Cohen Charitable Trust, Henry W. Bloch, Bill and Peggy Lyons, the Atterbury Family Foundation, the Barton & Phyllis Cohen Charitable Foundation, the Arvin Gottlieb Foundation, UMB Bank, n.a., Trustee, Bill and Christy Gautreaux, JE Dunn Construction, Neil D. Karbank, the William T. Kemper Foundation, Commerce Bank, Trustee, Liz and Greg Maday, SpecChem, Teresa Meagher and Brad Manson, the Richard J. Stern Foundation for the Arts, Commerce Bank, Trustee, James and Elizabeth Tinsman, the Elizabeth C. Bonner Charitable Trust, the Campbell-Calvin Fund, H&R Block, the Donald J. Hall Initiative and our Honorary Committee. The exhibition is supported by an indemnity from the Federal Council on the Arts and Humanities. Television media partners are Kansas City Public Television and Time Warner Cable.